The idea that the self is inextricably intertwined with the rest of the world—the “oneness hypothesis”—can be found in many of the world’s philosophical and religious traditions. Oneness provides ways to imagine and achieve a more expansive conception of the self as fundamentally connected with other people, creatures, and things. Such views present profound challenges to Western hyperindividualism and its excessive concern with self-interest and tendency toward self-centered behavior. This anthology presents a wide-ranging, interdisciplinary exploration of the nature and implications of the oneness hypothesis. While fundamentally inspired by East and South Asian traditions, in which such a view often is critical to philosophical approach, this collection draws upon religion, psychology, and Western philosophy, as well as sociology, evolutionary theory, and cognitive neuroscience. Contributors trace the oneness hypothesis through the works of East Asian and Western thinkers and traditions, including Confucianism. Mohism, Daoism, Buddhism, Platonism, Zhuangzi, Kant, James, and Dewey. They intervene in debates over ethics, cultural difference, identity, group solidarity, and the positive and negative implications of metaphors of organic unity. Challenging dominant traditional views that presume the proper scope of the mind stops at the boundaries of the skin and skull, The Oneness Hypothesis shows that a more relational conception of the self is not only consistent with contemporary science but has the potential to lead to greater happiness and well-being for both individuals and the larger wholes of which they are parts. "The Oneness Hypothesis proposes a fascinating and timely exploration of the idea of oneness from different disciplinary angles, while synthesizing current knowledge and outlining a path forward. The editors of the volume are leading scholars who will have a substantial impact on future conversations and scholarship about this topic." "A fascinating collection of very diverse pieces on a most important and too often neglected subject. Truly notable for the range of approaches exhibited, the different traditions or cultures treated, and the variety of questions, both theoretical and interpretative, that are examined." "Individualism, the assumption that humans are ontologically distinct, fully autonomous, naturally self-interested beings is a foundational philosophical idea of modern Western culture. It is also, arguably, an increasingly disastrous one for the well-being both of the individuals it celebrates and the societies to which they belong. The impressive list of distinguished contributors to this important book show in many different ways that this assumption is highly debatable and culturally contingent. It should be read by anyone interested in the roots of the grave problems currently facing the world." "Positing that many of the pressing problems of our age are rooted into restrictive views of the boundaries of the self, this fascinating collection of essays provides a wealth of insights about how oneness might—or might not—be relevant today. From history to religion, philosophy (East and West), and psychology, the issue is tackled from a striking variety of different angles. A stimulating and inspiring read." 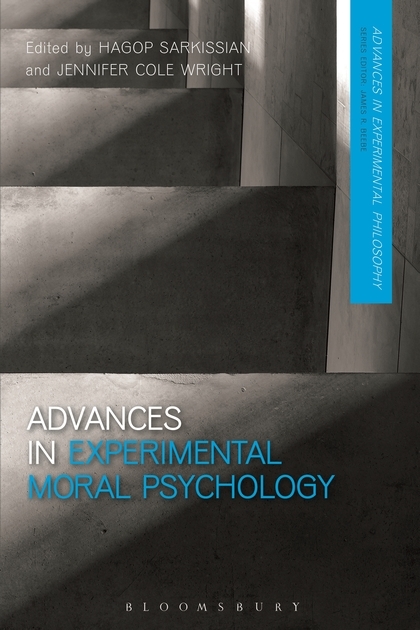 Advances in Experimental Moral Psychology brings together leading scholars in the field to provide fresh theoretical perspectives on research in philosophy and psychology. Reflecting a diverse and active field of study, contributors are drawn from across both subjects to pursue central questions concerning moral psychology. Covering a wide-ranging selection of arguments, issues and debates, topics includes the role of emotion in moral judgment (both at a general theoretical level and with regards to specific topics); the moral psychology behind political orientation; the nature and content of moral character and more higher-order questions concerning the status of morality itself. For philosophers and researchers in the social and behavioral science, this exciting new volume reveals the beneficial results of integrating these two disciplines and illustrates the promise of this experimental approach to moral psychology.